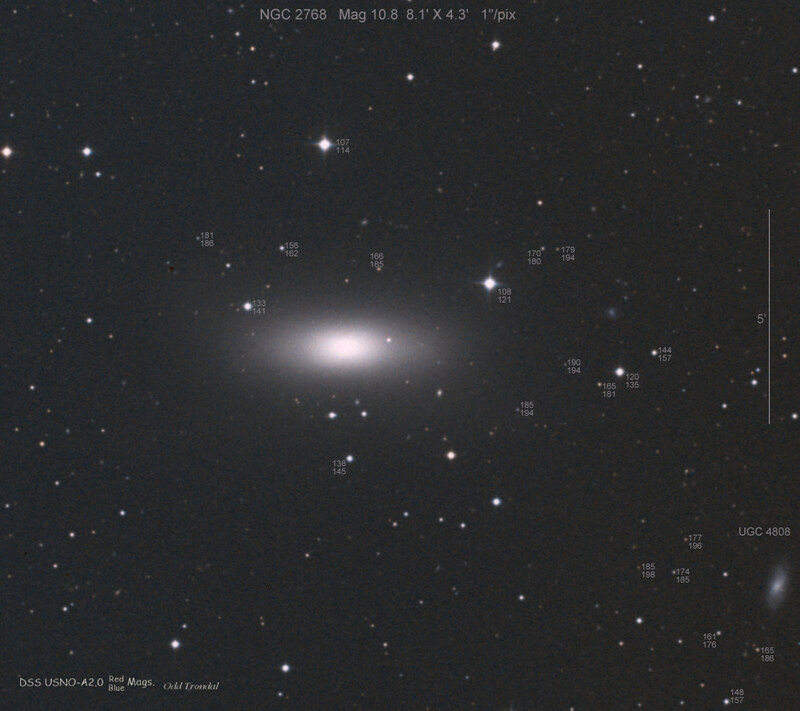 This page is devoted to information on Supernova 2000ds in NGC 2768 Basic information on this SN, including the last reported brightness, on this Supernova can be found on the main page. Information on the original web pages for many of these images can be found on the Supernova links web page. This one was discovered on a image taken by Tim Puckett by G. Dowdle. 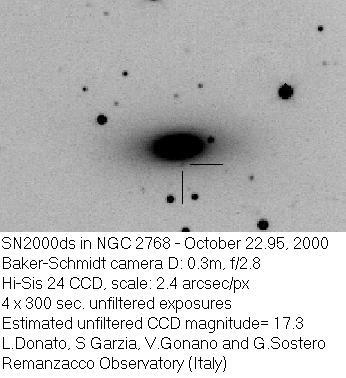 2000ds was found just after NGC 2768 came out of solar conjunction, and appears to be a type Ib supernova found at between 6 and 4 months of age (not 7 as quoted in IAUC 7511 by Dr. Filippenko, both LOSS and Tim Puckett had images showing nothing at the locaiton of this SN that were less than 6 months old). Most likely this SN was brighter than 15th magnitude during solar conjunction. We have a DSS Photometry reference image made by Odd Trondal. Icon created from Tim Puckett's discovery image image.